What's Buggin' You Lately? MGS Designz & More! | MGS Designz & More! MGS Designz is all about sharing the good stuff! Lately we’ve been showcasing our clients blogs on our blog – just so you can see who are clients are and also see samples of our work. Today we’re going to share a great blog post from Lenny Volberg from Lenny’s Pest Control! We help Lenny put together his blog and newsletter every month and we very much enjoy working with him. Please read on and feel free to contact us for more information! Holiday Bugs are Happy Bugs! So, are you planning a fabulous family get together with all the relatives over for turkey, stuffing, mashed potatoes, pumpkin pie and all the fixings? Is everyone invited? Even the bugs? Did you do know that Holiday Bugs are the happiest bugs in the world? Do you know why? Guess! Maybe it’s because they get lots of yummy sticky, gooey, ooey, sweet stuff everywhere! This is the time of year when the leftovers can’t fit in the fridge so they get left over on the counter over night! It’s when your lovely nieces and nephews leave sticky handprints all over places you didn’t even know they could reach! And it’s when your neighbor drops by to say hi and her not so cute kids leave cookie crumbs all over the floor, the couch, the counter and who knows where else! Oh them kitchen critters just love this time of year! We just came out of a pretty wet rainy season and if you haven’t called me to come visit you yet you just might have a nice collection of bugs hidden in those secret hiding places in your kitchen, pantry, laundry, bathroom and anywhere else they find comfy enough. 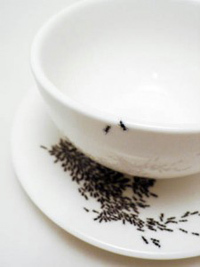 Those pantry bugs just love to get into your flour, pasta, cereal and spices. Those suckers reproduce faster than you can blink and if you have one you better bet you have a good fifty or more! 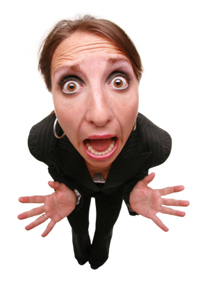 The last thing you need is crazy aunt Rita screaming and carrying on like it’s the end o the world in front of all the family while nearly giving grandma a heart attack all because she found bugs in the flour when she went to make the biscuits! You have Thanksgiving next week and Christmas shortly after that with New Years on their trail and each event is more food and happier bugs. Now we’re all for happy and have nothing against bugs but we really like making our clients happy and keeping the bugs out of their living space so holiday life can be a little more enjoyable. 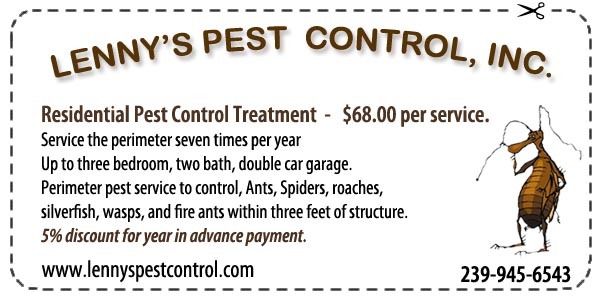 So right about now is the PERFECT time to call Lenny’s Pest Control so we can come by and spray your place just to make sure all your guests are the ones you really invited this year! We want to take this time to say THANK YOU for reading our blogs, liking us on facebook, following us on twitter and connecting with us on linkedin. Please subscribe to our newsletter if you haven’t already done so. 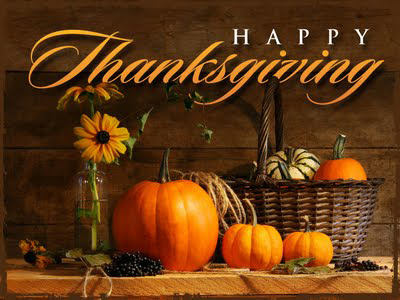 We also appreciate our many loyal clients for all their years of patronage and we wish you and everyone a Very Happy Thanksgiving Holiday season!